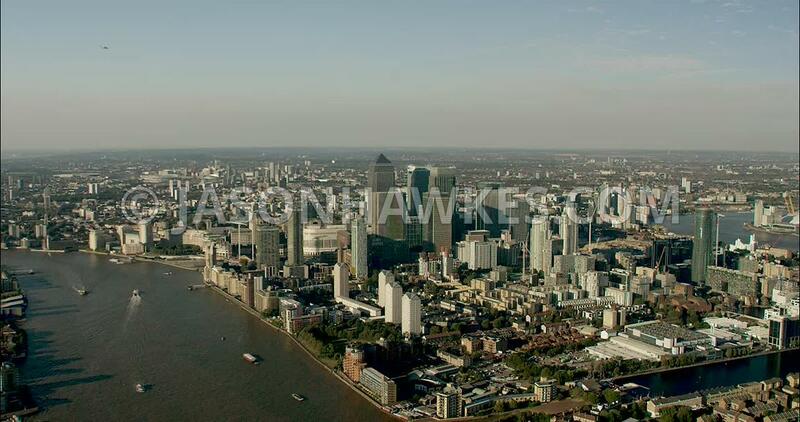 Aerial Footage London Aerial Footage of Canary Wharf and 1 Canada Square. London Aerial Footage of Canary Wharf and 1 Canada Square. London Aerial Film of Docklands with West India Quay.